The two winners of the 2014 BPS Book Award have been announced as Psychology, Mental Health and Distress by John Cromby, David Harper and Paula Reavey in the Textbook category and The Optimism Bias – Why We’re Wired to Look on the Bright Side by Tali Sharot in the Popular Science category. 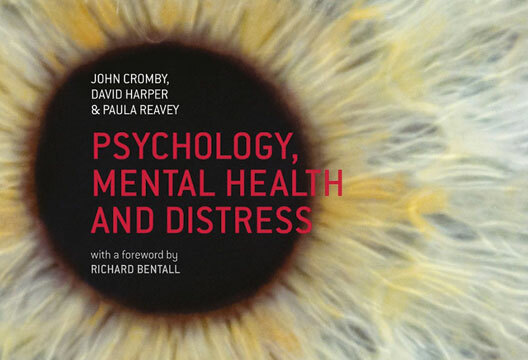 Dr John Cromby, a Reader in Psychology (Loughborough University) co-wrote Psychology, Mental Health and Distress with David Harper, a reader in Clinical Psychology and Programme Director on the Professional Doctorate in Clinical Psychology at the University of East London and Paula Reavey, Professor of Psychology at London South Bank University. Dr Cromby said they benefited from four strands of academic and clinical work in writing the book: ‘First, UK clinical psychological research, which is currently leading the world in producing credible, evidence-based psychological alternatives to psychiatric models of distress. Second, the mental health service-user movement in the UK, who have been working to develop and promote innovative ways of understanding and working with people with mental health difficulties. Third, the Critical Psychiatry Network, whose members have provided more sophisticated understandings of medication and psychiatric work. Fourth, recent psychological research working with concepts of experience (rather than with its components such as memory, emotion, etc.). David Harper is now editing a book called Beyond ‘Delusion’, which offers insights into the psychology of unusual beliefs amongst both clinical and non-clinical samples; while Paula Reavey has a co-authored book in press on memory and affect, and John Cromby has just finished writing a book on feeling and embodiment in psychology. Neuroscientist Dr Tali Sharot, a Reader in Cognitive Neuroscience at the Department of Experimental Psychology, (University College London), directs the Affective Brain Lab and is currently a Wellcome Trust Fellow and previously a British Academy postdoctoral fellow. Her book gives an in-depth look at how the brain generates hope and what happens when it fails, how the brains of optimists and pessimists differ and how our optimistic illusions affect our financial, professional and emotional decisions. Dr Sharot said she was thrilled to find she had received the award. She explained her work on The Optimism Bias had come around as something of a happy accident: ‘The first experiment we did on the optimism bias was back in 2007 but it was, in fact, a mistake. I was looking at something else altogether and the optimism bias just crept in. My aim was to look at how people imagined negative events in their future. But people kept changing them in a positive way. Dr Sharot said her findings on the optimism bias and its neural components has interested both health professionals and the general public and has implications in a variety of different domains, including in finance and health. She added: ‘Most people have been surprised by the findings because we aren’t aware of our own biases.’ Professor Sharot is continuing her research into the optimism bias as well as looking in to emotion and learning in groups rather than just individuals.